Our petition rejecting wind turbines in the forest of the Double, launched in February 2014, collected 1660 signatures on paper and 1735 on the internet bringing, together 3395 signatures ! A big thank you to all. Sign the petition "We reject wind turbines in the forest of the Double"
Print the paper petition for your neighbours to sign, if they do not have internet. landscape heritage, nature, architectural and forest of the Double. misuse of public money in an area with minimal wind. We strongly oppose the implementation of any turbine in the Double. My home would be 700m from one of the sites and the flora, fauna and people of this area would be traumatised by these 200m high ineffective monsters. We are not in a windy area, so why spoil our beautiful region? Against the deterioration of the Double. As an owner of land potentially affected in La Barde 17360. Wind power is uneconomical and environmentally friendly way. I live in Vanxains and I find it stupid to clear the Double to install wind turbines. What is the impact on wildlife? and in 20 years, what will be left? In this case, install wind turbines in the Landes! probably much windier than the Double! The last natural areas should be protected from industrial predators. I think our region should remain as in its history and authenticity for tourists. Consistent with the reasons cited in the petition. Visual pollution, scam for citizens donors, protecting our natural environment; to hell with the turbines, we do not want you !!! For sure, it will do no good! Do not destroy a unique landscape in an area of the sole benefit of corporate interests with no real purpose. Protection of nature. No to onshore wind: disfigurement of landscapes, noise pollution. Efficiency in unproven energy system. Attached to this region and to the forest. My family lives in St Vincent. To save the Perigord heritage. Not only will turbines damage the landscape, but they also would not be profitable. Many more natural disadvantages than advantages. Against a project technically and economically aberrant backed by mafia practices. 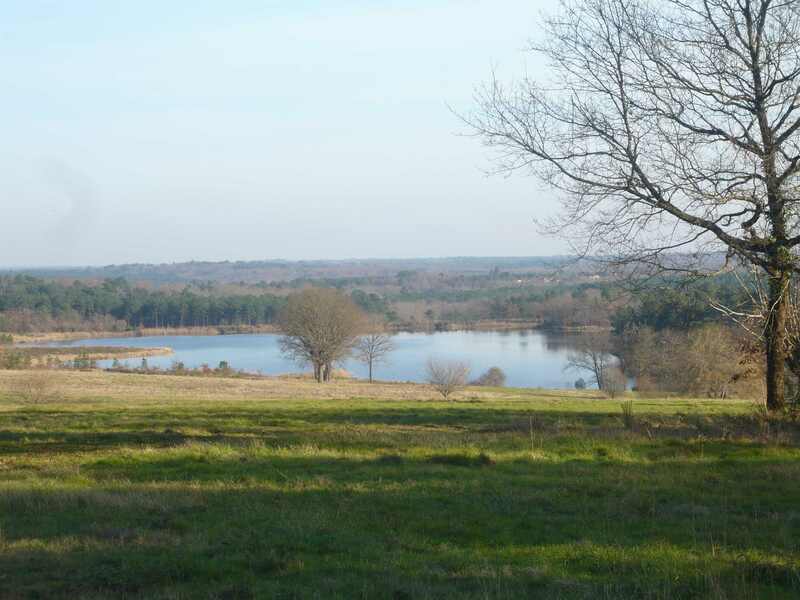 La Double Foret is a very beautiful and very special wonder of historical fact, change its meaning would be a crime! I'm all for protecting the environment in all its forms and I have friends who live in these forests so I'm against destruction! Wind turbines are used to line the pockets of pension funds. I am signing this petition because I am totally against any form of offshore wind turbines, whether or land. Energy is too random, especially significant degradation of our landscapes and iconic homes that make fiereté of France. The guardians of the landscape become the architects of their industrial mutilation. Enough of this nuisance and mess of our heritage for a pathetic efficiency! This is mismanagement. More turbines are implanted to avoid CO2 emissions. I am totally against the turbines in the forest. I hope we will be reimbursed what was illegally taken by the CSPE. If the effects on the climate are tangible, I do not want to participate in this destructive charade. Because I am totally against turbine sham. Because wind turbines are false ecology in favour of a financial system that charges the taxpayers and consumers to make money. The pretext is to limit global warming while wind turbines contribute massively using fossil fuels to substitute 3/4 of capacity, lack of wind! It's a massive and ruinous deception. Intermittent, wind power requires us to ignore the goals of reducing greenhouse gas emissions. It is urgent to stop the turbines. I cannot stand the sight of these monsters in the middle of nature. We fight to defend the magnificent Puymangou. The turbines requires public funds to maintain an artificial market for it to exist. It ruins the natural heritage that are common cultural landscapes. It devalues private property, homes fruits of a lifetime of work. It greatly degrades the quality of life of residents. It carries significant harm to wildlife, while ransacking plots kind hitherto miraculously preserved. It turned out that in the Herault it disrupted breeding bustards, with 10 hectares of photovoltaic provided in the Gard fire risk the turbines hampered the working of Canadair fire bombers with 4,000 acres burned there 25 years and farms and villages were affected. With the disappearance of some farms. Projects canceled by the prefects following the intervention of the civil protection and some bird conservationists. Without doubt, this should be in shallow sea as in Norway. Against the deterioration of natural sites. Wind turbines are a predatory scam ecological public and destructive of dirty money. The presence of wind turbines in this area is both an economic scam, a lie and an ecological sham. We should also be aware that the value of land in a radius of 2 3 kms depreciates up to 25%. Industrial wind is not ultimately a source of income for those who succumb to the siren songs of the promoters of this energy. Only the developers, industrial manufacturing wind turbines and companies, who hypocritically marchandisent energy (renewable) in the name of sustainable development, fill their pockets. Protecting our environment while wind energy is not suited to the region. Danger to nature and wild life, we need to preserve the environment, it's the green lung of the Dordogne! The site is just sublime, grandiose. Destroy such landscapes in the name of politically correct ideology and for random and false solutions m'insupporte! Visual and noise pollution; migration zone waders and pigeons. Doubtful performance with regard to the geographical area. No way to disfigure our countryside of the Dordogne. My taxes are used to build unprofitable power sites. Put wind farms or tidal turbine is much more promising. Having visited the Perigord MOST of my life, I am acutely aware of the important role tourism plays in the economy. I have serious reservations as to the lure of the Dordogne and the beautiful countryside shoulds it be blighted by wind farms. Because I too refuse wind source of many nuisances for Double I love and I would like to see preserved. We are in an area known for its attractive tourism. Adverse impact on tourism as a result of the wind facilities significantly reduce the benefits to tourism ... a disaster! To preserve this beautiful landscape! To safeguard the landscape heritage, competing economic development through ecotourism, given the highly uncertain economic benefits in a little windy area! The effort should focus first on energy conservation and the use of solar. There is no point putting wind in the open green Perigord! We must protect nature and the environment. I signed to protect my country windmills that are ecological absurdity, that do not work and that reach of state subsidies to the detriment of French heritage and people. Wind power is a money pit, inefficient, polluting and disfiguring our country at that. Environmental protection of the Double. Respect and safeguard the landscape for paltry economic impact. Property nearby and desire to preserve this natural area. I regularly go to the area to hunt and see my friends. It is an area that I love and I do not like to see these horrible disfigured by machines, which are a visual nuisance, noise and a real trouble for migrating birds. Indeed, it is a strategic area for many migratory species. All serious studies agree that France wind power is an economic absurdity: It not only requires excessively large subsidies from the community (the electricity prices in Germany have increased exponentially with increasing wind). But we must also add that given the unpredictability of wind turbines conventional network (running on gas, coal or nuclear) must be set up to deal with periods of light winds too. It seems to me totally abject sacrifice the Double forest to reach such a goal against-productive. Against disfigurement of the landscape. Because my travel agency to scope the nature and heritage sites polluted by leaking the wind while I love this beautiful area. I am against wind turbines because polluraient the landscape and destroy the Double Double forest which is one of the largest forests in France and where many animals, birds and migratory birds breed and live in the forest and then the purchase and construction of these turbines will be paid by the taxes of many people who have said "no to wind turbines" plus it is only a low energy. It would be better to renovate old mills (water) into dams that would cost cheaper to the company, which would provide more energy and be better rooted in the landscape of the Double (for the Double and even have Dordogne several sources, ditches or rivers that provide much more energy than wind turbines). Wind turbines are not profitable, not referring to people who rent their land and sellers of generators. We discovered this area at a wedding; it must be protected and find more suitable places to develop new energy sources needed. The Double is still protected territory of our region; let's keep it to keep him away from too much external damage. Wind turbines have already proved that they were not effective and environmentally friendly way to produce energy. The deterioration of the landscape. The framework should be preserved and kept as natural as possible; add wind turbines destroy this beautiful country; would ruin everything. Backup of my 15,000 bats in my site Natura 2000 Charentais. Strong interest in the region. Because we must protect the heritage and once these turbines will be installed, it will be too late. Because wind turbines are a sham to greenwash. These turbines would cause a huge visual this magnificent forest damage, otherwise little windy. That would free rampage. My children and grandchildren coming on holiday with us regularly, asking me to sign this petition because, through me, they do not want to participate in these or any other pollution of our forest of the Double. For all the reasons given in the "we refuse." For the rest Double virgin turbines. I am not against the wind but against placing them in the Double which is still quite important forest for those who live there and I would say an emblem. Preservation of the landscape and not profitability of wind turbines. That nature is beautiful! Will not sully his things ... There is not much wind here. Remnants windmills are much lower, and further west. In case of forest fires, this is a serious danger to the crews of Canadair. And try to grow potatoes 5 or 800 tons of concrete placed at life in our land !!! The French countryside is already sufficiently trashed everywhere, by not adding with unnecessary projects. We are against the destruction of natural unspoilt scenery of the Double. For this beautiful landscape is not disfigured. Born Doubleaude, I confirm that this is not the wind that made the reputation of the forest of the Double! Maintaining forest and natural heritage of this beautiful forest. Deforest wood surfaces bordering SSSI or Natura 2000 areas is an aberration while we are forbidden to build a simple house in the same conditions! Pity for Double already ravaged by the thirteenth wild exploitation of its forest resources for shipyards Bordeaux and La Rochelle. The massacre must not start with the installation of wind. I find outrageous ugly nature with things that are useless and very expensive to our country already ruined by the excesses of all kinds of people who govern us. It is totally outrageous to install "warts" in an area considered one of the most important by the Natura 2000 network for the conservation of endangered European species. "Our" Double The forest is mentioned in texts from ancient times! Rather, it should be ranked "forest protection" by "national reserve", etc. Indeed any historical cultural, natural, artistic, architectural, ecological, etc. there through the forest of La Double ... It is just the natural border between Périgords "White" and "Green"! I oppose it becomes a forest "syphilitic"! Do not touch my forest, it allows me to breathe. Because I do not want the beautiful scenery of our beautiful France damaged. I refuse degradation of the périgourdin landscape, our only wealth. We are protecting a unique natural area! Struggle against the wind to protect our environment and the forest of the Double. We have one of the most beautiful unspoilt countrysides of France and we are threatened by wind turbine, a 4-lane road ??? Stop! These wind projects, are especially high because there is little wind, vandalises the landscape. I am convinced that putting the cart before the horse. Let's first save energy by distributing aid directly to French citizens. Besides that benefit businesses instead of aggravating the balance of trade balance by importing wind turbines and photovoltaic panels. In times of crisis, why persist in this very hypothetical energy transition ?? Wind turbines harm the environment and degrade the landscape until proven otherwise; obviously they are unnecessary; waste of money; Do we leave that to our youth? I maintain the woodland in Double I replant trees. I greatly appreciate the charm. I like the sound of trees and birds. I am against the concreting of the Double. Aesthetic and ecological nuisance in a preserved ecosystem, a precious wild enclave that should not disappear under dubious economic pretexts. With passion for Double wildlife; it's an eyesore and will disturb the migration of birds. The deterioration of natural habitat - forest and the impact on the population. Material probably exceeded; very negative impact on the environment; insufficient to justify a correct relationship winds; Brownfield expected in the next 20 years. Destroy a beautiful landscape is an aberration especially the Dordogne department with very little wind. I was born in Dordogne and my family still lives there. Périgord in general and the forest of the Double are not suitable for the deployment of wind farms. Not enough wind, a fragile habitat, a source of income for forest owners, a tourist spot with its beautiful lake La Jemaye .... in short, a big mistake to be avoided. The Double is an ecosystem of high quality, but fragile. As such, it should have a longstanding protection that does not bring him Natura 2000 which relates to a small part. The installation of wind turbines, for the benefit of some and the regret of all, as a first step to other denaturing. Preserve a forest so rich in natural heritage, flora and fauna. Install the turbines elsewhere where there is room. I understand your struggle. We suffered from the implementation of a telephone tower near our house in Ste Foy la Grande. It was built during one of our trips abroad. When we wanted to sell, many potential buyers have come and gone without even visiting the house saw the antenna on the hill, above us. It was infuriating. Where is the wind in the Double? With what funds? Wind power is an energy and environmental financial heresy; the fight against vandalism disfiguring our landscape is identical to the one currently engaged in our Vosges. The threat of a project is underway in the Verteillacois the towns of Champagne and Cherval: we fight with our association assocep.fr Citizenship Environment Périgord; Courage, we will win! There are no regular winds in the Double; the forest landscape will be disfigured. We are against this economic aberration that we support - in spite of ourselves! - Energy production subsidised at a very high level and not profitable, all at the expense of our eternal landscapes. Unnecessary, dangerous, destructive of our environment in the Perigord. It is a typical rural location, rich human history and plant and animal diversity; implement machines profits is a voluntary destruction of our heritage. I am against a project that alters the landscape and the forest of the Double to a weak economic interest, it is an area of light winds. It is nonsense to install industrial wind in an area devoted to tourism, part of which is classified Natura 2000. Ecologically questionable; economically ruinous and uninteresting; an unacceptable eyesore in the Double. Wind turbines disfigure the environment and their profitability is unproven. Misuse of public money in an area of little wind. To preserve the Double of any industrial impact. Lack of regular winds; do not damage the beautiful scenery of the countryside and the forests of the Double. Save the landscape, natural forest heritage and our Double. We are against the destruction of the natural and authentic landscapes of the Double, where we like to come here often on vacation (Netherlands). The Double is an ancient forest; it is protects the environment through the oxygen it generates; it is a source of revenue by its wood, fungi, animals. Establish tubines wil result in breaking a useful and beneficial ecosystem. A big mess in every way. We need to protect this natural and wonderful site that should not be damaged by wind, which in this region are not relevant. Against deforming the forest landscapes of the Double and installing wind turbines where there is not enough wind for them to produce to their full potential. Deterioration of the bucolic landscape and splendid Double. Affect the landscape; absence of regular winds in Perigord; economic absurdity: we're tired of seeing our electricity bill increase by 5% every six months to support this type of development. Preserve our most beautiful capital: an unspoilt and serene nature against facilities that will accomplish nothing! I do not want people in the Dordogne to live every day with the degradation of their environment, as we now live in some parts of Brittany.